Did you know that nearly 4,000 years ago the Egyptians created a whitening paste by mixing ground pumice with wine vinegar? Why were those ancients so interested in white teeth? Because white teeth were a sign of beauty, youth, and status. 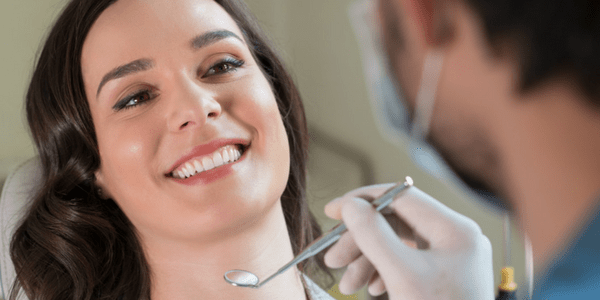 Fast forward to today and the whitening products we use today are certainly more effective and much easier on the enamel of your teeth, but the reasons why we want a whiter smile haven’t changed much. It conveys a positive picture of someone who genuinely cares about their health. It makes you feel younger and more attractive. Your self-confidence soars knowing that you are looking your best. At TLC Dentistry we offer two methods of whitening. One will be the perfect fit for you depending on your time and budget. In-Office Whitening – The Opalescence® Boost teeth whitening procedure takes just 40 minutes. You won’t believe the difference those few minutes will make to your smile! The Opalescence® Boost whitening gel is not only safe for your teeth, it actually strengthens the enamel! In only 40 minutes you can erase the buildup of years, revealing a fresh, white smile! Take Home Whitening – Our take home whitening system is for those of you who don’t mind a slower route to getting whiter teeth. This process takes about 15 – 30 minutes a day and it might take 1 to 6 weeks to achieve your desired shade. In this procedure, we make you custom-fitted whitening trays that ensure beautiful, even results. You can have professional results in the comfort of your own home! You can whiten your teeth during your lunch hour! Only takes 40 minutes! Really, it doesn’t get much faster than that! The whitening gel is formulated to reduce sensitivity. The gel offers even coverage and whitening. It is chemically activated, so no light or heat is needed. It offers both in-office and at-home whitening options. Your smile won’t tell on you! We are sure you have more questions about Opalescence® Boost teeth whitening and we would love to answer them for you. Contact us today and we’d be happy to put your mind at ease about any concerns you may have. With a sparkling, healthy, younger-looking smile, no one needs to know your real age. With Opalescence® Boost teeth whitening, your smile won’t tell on you!